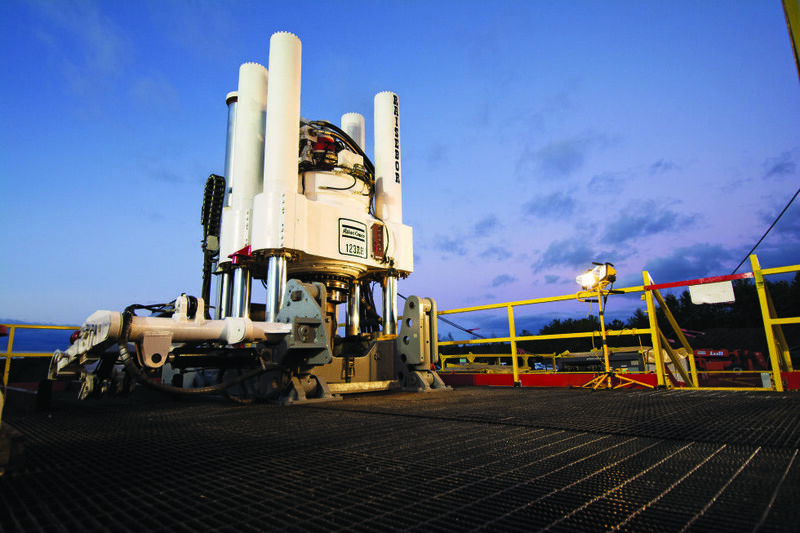 The system operates off two hydraulic systems with the RCS controlling the entire drilling process. An external loop cooling system maintains optimum drive and thrust system temperature. The machine runs on a 480 volt drive pack and a 700 hp hydraulic motor turning the drill string. 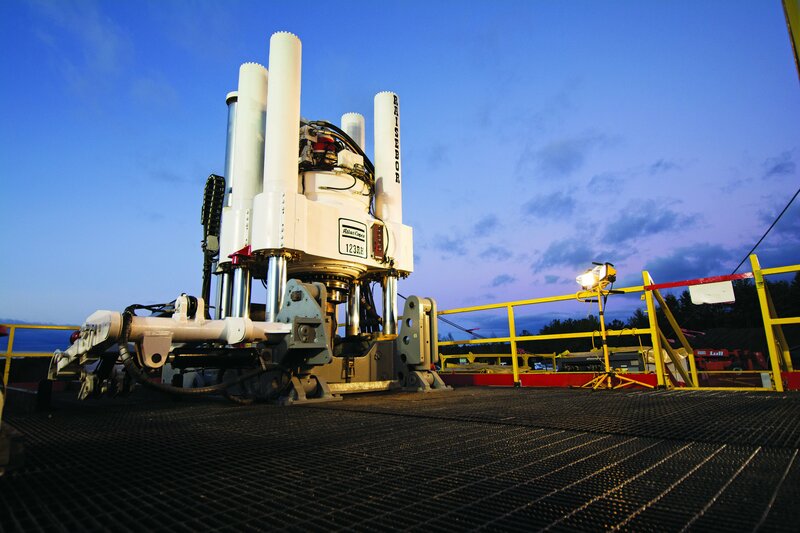 almost a safety factor.” He adds that the control allows for adjustments in the formation so there is no damage to the rig or drillstring. The machine’s antijamming feature also prevents damage. When rotation pressure moves into the red range on the control panel, feed pressure backs down. Although the machine is rated for 3–7 m diameter holes, Raisebor’s record achievement has now proven that much larger raises are possible.